Victor was born in Bollnas, Sweden on 20 June 1878; his father was a Swedish Army officer. He studied for a period under the physicist Salomon Andrée, who quickened his interest in physics and mechanics. Victor was sixteen in 1894 when he attended a performance of Stephanio, a renowned magician. He joined the act and added several illusions while on tour in Europe. While Stephanio was performing in Paris in 1896, Victor saw a Lumière Cinématographe presentation. He later claimed that after much persuasion, Lumières Frères sold him a Cinématographe, 'Number 17', and some 15 metre films, and moving pictures were added to Stephanio's magic show. Late in 1896 Stephanio died in Cairo. Victor (so the story goes) successfully carried on the show, as 'The Boy Wonder of Magic and Illusion' - and later as 'Alexander the Great' - through the Near East and India until 1900, when he travelled to the USA. In the summer of 1897 Victor rented a vacant shop store in Newark, New Jersey, and showed films on an Edison Projecting Kinetoscope plus live music from Bowman's Military Band. 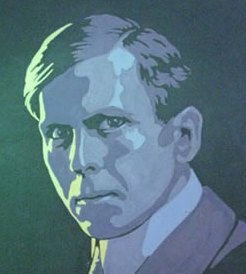 Until 1908, he operated two melodrama companies, and when these folded he worked at the Edison Laboratories at East Orange, New Jersey, and also developed a motorised washing machine for the White Lily Washing Machine Company of Davenport, Iowa. He developed various ideas for amateur motion-picture equipment using images on discs, and in 1910 obtained funding from the directors of the White Lily Company to form the New Victor Animato-Graph Co. (later Victor Animatograph Co.) and over the next few years produced and marketed several novel motion picture and slide projectors. 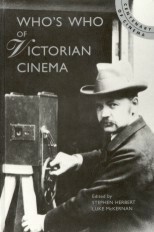 In 1917 he designed and built the portable Victor Safety Cinema, using a variation of the French Pathé 28 mm safety film, urging the Society of Motion Picture Engineers to adopt this as a new standard for projection in Schools and churches, but its success was limited. In 1923 Kodak announced the 16 mm film standard, and Victor immediately designed and marketed a camera and projector, helping create the mass market for educational, industrial and religious film-users. Victor 16 mm equipment was highly successful into the sound-film era and post-war years. His final projects were a new 8 mm camera and a 'Multicolor Televisor'.